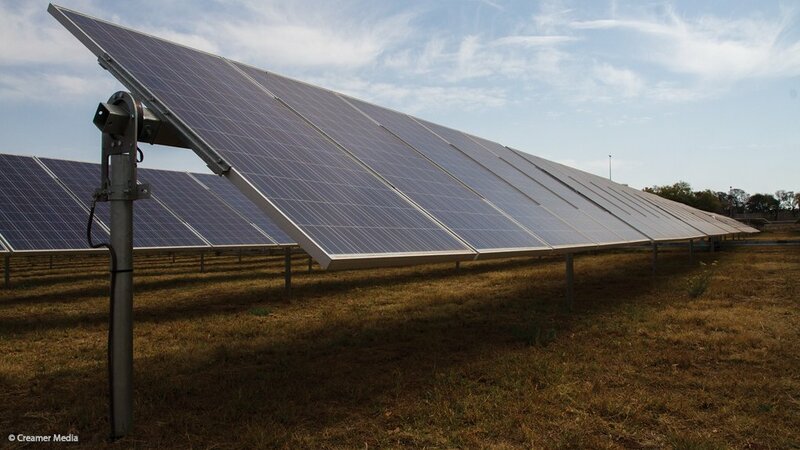 The South African Photovoltaic Industry Association (Sapvia) has criticised the Department of Energy (DoE) for “grossly incorrect pricing assumptions” for solar PV in its updated Integrated Resource Plan (IRP) model. “The IRP is using numbers that are 40% higher than numbers available to them and IRP cost assumptions are incorrect by 35 years,” said Sapvia chairperson Dr Chris Haw. “How can you possibly in the 2016 update say that the PV prices are going to be higher than what we assumed in 2010,” he questioned. He was speaking at a workshop in Cape Town as part of the DoE’s roadshow to gather information and feedback on its Integrated Energy Plan and its update to the IRP 2010-2030. The IRP guides government’s plan for energy provision within the energy mix. It outlines the proposed generation of new build for South Africa for the period 2010 to 2030. The base case published by the DoE on November 22, outlines a proposed electricity generation mix to 2050. Haw also called on the DoE to reflect the unconstrained least cost model in its base case, saying it was essential for prudent planning for energy in South Africa. Sapvia also objected to the imposition of new build limits on solar PV and wind technologies. “The IRP imposes new build limits on PV and wind technologies, but doesn’t impose these constraints on other technologies. These appear to be arbitrary with no proper justification for these constraints,” said Haw. Sapvia, which represents more than 100 solar PV companies, said the plan doesn’t adequately make provision for embedded generation. “Solar PV has an immense benefit as an embedded generation. The market for South Africa in 2016-installed-system costs are already comparable to large Renewable Energy Independent Power Producer Procurement Programme (REIPPPP) projects. “We believe the IRP planning methodology must start by removing or justifying the arbitrary artificial constraints and use correct and comparable cost assumptions. “Solar PV is one of the least-cost and least-regret pathways for the country to meet its emission commitment,” noted Haw. He added that the IRP allocated too little capacity to PV, based on PV’s performance in the REIPPPP to date. Some role-players in the energy sector have pointed out what they say are gaps in the DoE’s base case. The Energy Resource Centre (ERC) at the University of Cape Town said the indicators that policymakers need, such as electricity demand and technology costs, had not been precisely defined in the revised IRP 2010-2030. “There is lack of detail on how the demand forecast was arrived it, with much missing information on nuclear and renewable energy,” said ERC senior researcher Andrew Marquard. Marquard said the global context put South Africa in a very different position from ten years ago, with disruptive change in technologies. He noted that global shifts had been significant, with a revolution under way in electric mobility and equally rapid advances in storage technology and investment. He said there were already 200-million electric scooters in China alone, while there had been sweeping shifts in the cost of wind, solar and other technologies. Marquard said this was not effectively recognised in the IRP.